One of the many great things to be brought to life thanks to crowd-funding website Kickstarter is the Lumu iPhone lightmeter. Achieving the project goal 12 times over, there is clearly a demand for this product. The Lumu lightmeter plugs into the headphone jack of an iPhone and, via the free iOSs Lumu app, gives users the correct exposure reading for aperture and shutter speed at a given ISO setting, and an illuminance light level reading in lux, foot-candles or EV. It is available in white or black with a leather case reminiscent of one from a Weston Invercone, while the lanyard has a socket for the mini-jack plug to protect it from damage and loss. Made from CNC-milled high-grade aluminium, the Lumu will clearly last well if looked after, and it requires no battery as it draws its power from the sound circuit of the iPhone. If you need to calibrate for your camera or against your existing meter, scales are accessible in the settings menu and can be saved for future use. The mini-jack socket on the lanyard holds the Lumu safely in place around your neck, while the case can be mounted on a standard camera strap for permanent storage. Housed in a high-grade aluminium unibody, there are no moving parts to damage – and it looks great too. Tested against our studio reference meter, the Sekonic L-478DR LiteMaster Pro, the Lumu gave consistent and accurate results matching to within 3/10 stop across the range. With its built-in diffusion dome, the Lumu will not give you reflected light readings or measure flash from studio heads or flashguns, but once attached to the iPhone it is so elegant and functional you won’t want to return it to its case. 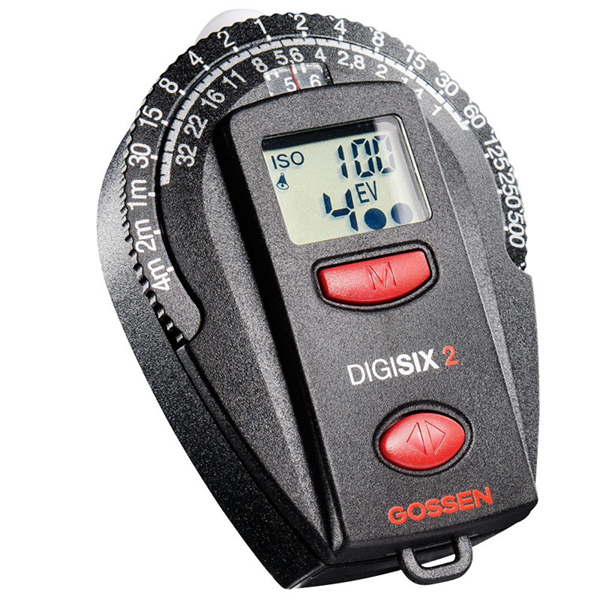 The Gossen Digisix 2 is a standalone 7 x 5cm digital exposure meter with analogue settings that is small enough to sit on a camera hotshoe with the optional mounting clip and offering an ambient light measuring range of 0-18EV. 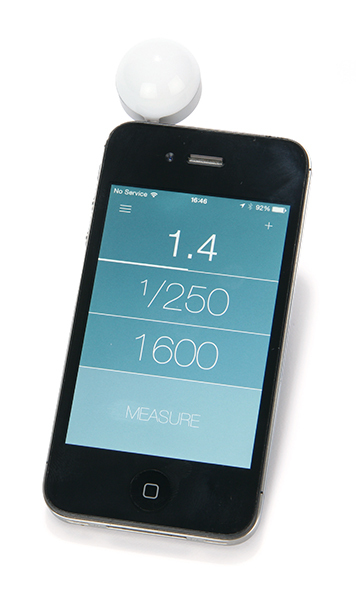 Pocket Light Meter is an iPhone app that uses the phone camera as a lightmeter – the first app to offer light metering to iOS devices. It now has improved low-light performance, but the lux and foot-candle conversion facility has been disabled. 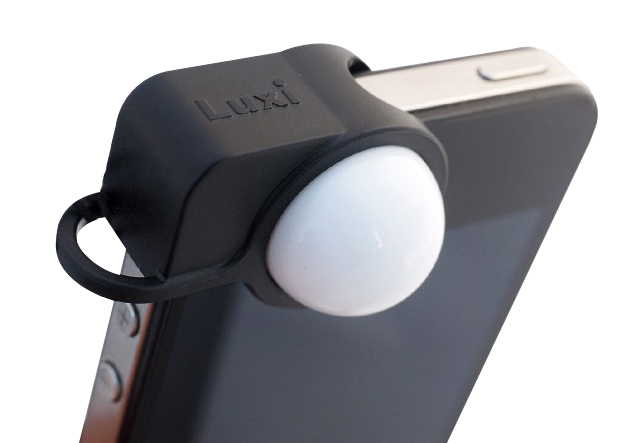 The Luxi is a diffusion dome that fits over your iPhone’s front-facing camera. 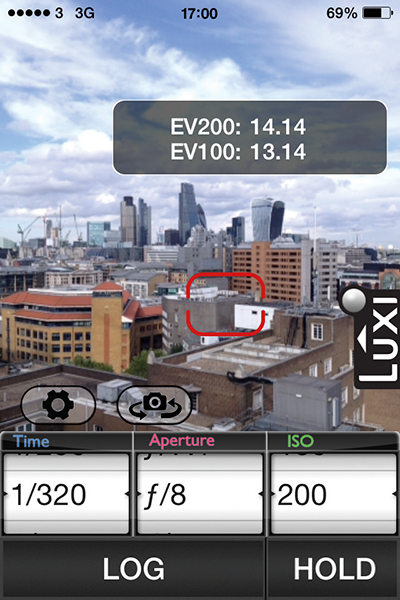 When used with the free Luxi app, or another app such as Pocket Light Meter, it gives incident light readings without the need for expensive hardware.